One can easily lose track of the flood of newly released gins these days. Even the German gin market sees a new juniper distillate almost on a daily basis and so it is not surprising that a lot of people have recently developed a collector’s passion when it comes to gin. However, today’s distillate comes from the motherland of gins, strictly speaking even from the “heart of England”, from Cotswolds. Of course I have to admit that it’s possible to argue about the real country of origin when it comes to gin since a lot of people in this context tell the story of the historical roots of gin, which are lying in Dutch juniper distillates during the Eighty Years’ War in the 16th and 17th century. But I was thinking of gin in a strictly defined way and as such it was doubtlessly born in England. And, coming back to today’s distillate, “from the heart of England” is in fact not a mere phrase but the unofficial nickname of the home region of today’s gin, Cotswolds. 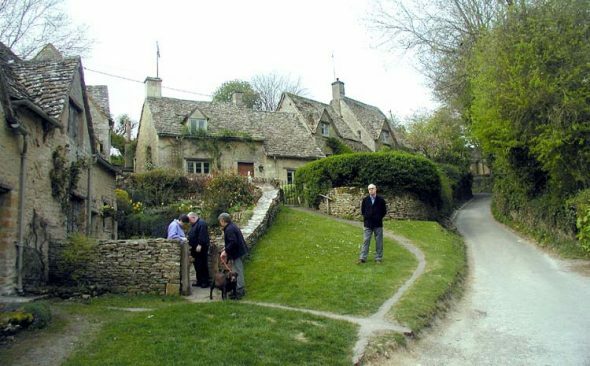 The Cotswolds region in central England is spanning several counties and is primarily famous not for its gin but for its picturesque villages and landscapes, seeming like an England out of a storybook. There, in the small village of Stourton in the county of Warwickshire, lies the Cotswolds Distillery. We can already see: the name is everything here. We’re dealing with the Cotswolds Gin from the Cotswolds Distillery in the Cotswolds region. The Cotswolds Distillery, though also producing gin, is mainly working on its own whisky. It is an all-English whisky which is meant to be competitive with the famous whiskys from the northern Scottish neighbors. And similar to some Scottish distilleries (with Bruichladdich and its Botanist Gin as the most famous example) the Cotswolds distillery decided to expand its portfolio by a gin. But not only gin, also Eaux de Vies and Calvados are produced there. Nonetheless, today’s article is about the Cotswolds Dry Gin. 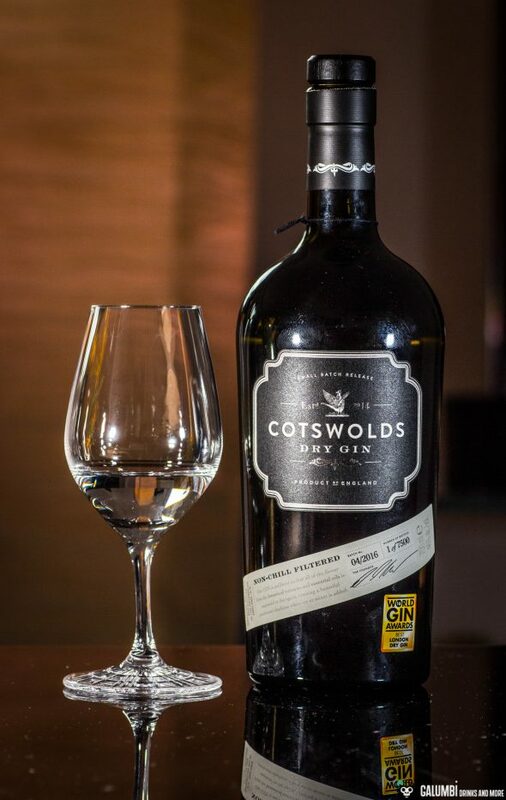 Distilled in the style of a Dry Gin, the Cotswolds gin, like many other representatives of its genre, is made with various regional Botanicals. The manufacturer emphasizes its ambition to create an outstanding juniper distillate that is not like the other competitors. So they don’t want to produce “yet another” gin but a very special one. Therefore they apparently hired an expert botanist who was entrusted with the compilation of botanicals for the gin. To what extent this is actually making the Cotswolds gin so incredibly special and unique, I honestly do not know. For me it has to prevail as a gin and not as a super extravagant product that virtually reinvents the wheel. And since the promise of “standing out from the masses” unfortunately comes along with every second new gin release in these days, I do class that ambition as just another “marketing strategy”. The Botanicals inside the Cotswolds Dry Gin are added during the production process both via maceration and steam infusion, depending on what suits each botanical best. The Botanicals in the gin include juniper, coriander, angelica, lavender, bay leave, lime, grapefruit, cardamom and black pepper. The 0.7l bottle usually costs around 40 euros, which is not as exorbitantly high as it used to be in the gin market. Of course we could start a discussion about the market price development at this point but I think that has been done a thousand time before. 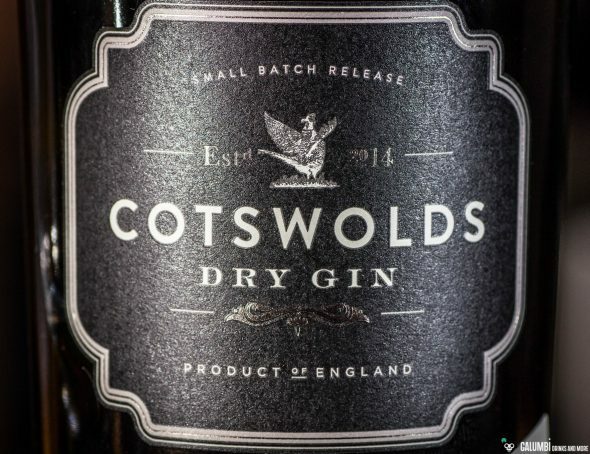 The Cotswolds gin is not chill-filtered (what is still an exception when it comes to gins, so your G&T might turn a little cloudy with this one) and bottled with 46% vol. 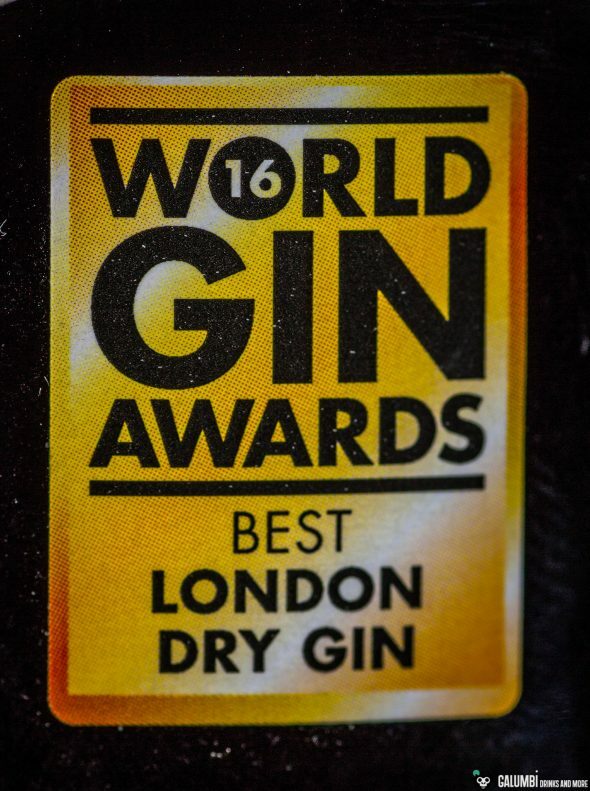 At the World Gin Awards 2016 it was awarded “Best London Dry Gin” which of course is definitely causing a stir. Aroma: Earthy and aromatic juniper is immediately encircled by complex citrus notes. I can clearly scent the grapefruit and also the lime is there with a fine spiciness. Coriander and a very nice lavender swirl around the nose, which I personally like very well. Overall this gin offers a complex impression on the nose; actually it’s a really nice gin so far. Taste: Again full and rich juniper alongside citrus notes and a complex spiciness. Whether this is due to the bay leave, I cannot tell but lavender and coriander are unequivocally noticeable. All in all the Cotswolds Gin is a truly round and pleasant experience on the palate. Whether it really is the best London Dry Gin I would not presume to judge, but it is definitely very good. Finish: juniper, citrus and also cardamom (like with many gins, cardamom usually comes through in the finish). Aromatic and very satisfactory. Buying sources: In stores or online. 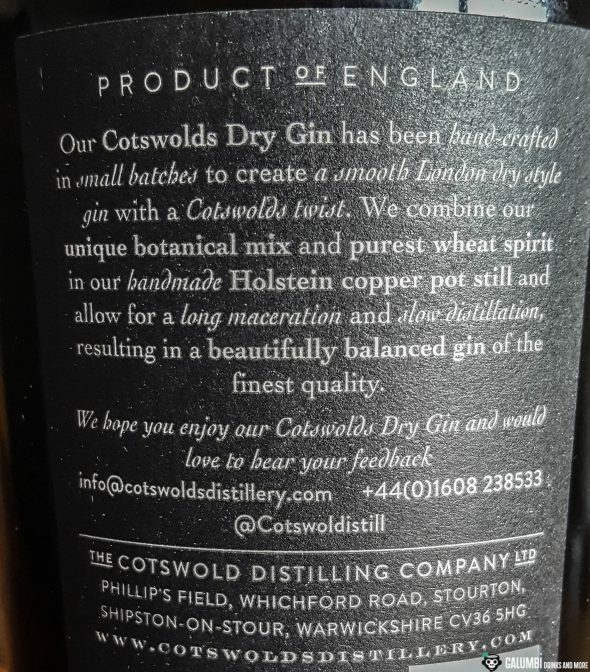 If you are a spirits dealer yourself, I can recommend you to look for the Cotswolds Dry Gin here (only in German language).